Zauo has 13 outposts in Japan and it will now have a spot in Chelsea (opening TBA). Diners will be able to fish for their dinner from the restaurant's own tank. After it’s captured, the catch is served fried, grilled or raw as sushi. Zauo, 152 W. 24th St., New York, NY 10011, no phone. Mama Fina’s in the East Village is the second location of a Filipino restaurant based in Elmwood Park, New Jersey. The menu features Filipino spring rolls called Lumpia Shanghai; tangy BBQ pork with java rice and achara; and kare kare, a peanut oxtail stew. Mama Fina's, 167 Avenue A, New York, NY 10009, 917-262-0893. Don Wagyu, a takeout spot, will make wagyu katsu sandos, Japanese sandwiches with luxury beef on fluffy white bread. There will be a few seats for guests to stay. Opening TBA. Don Wagyu, 28 S. William St., New York, NY 10004, no phone. Omar Hernandez, a native of Venezuela and the owner of Omar’s La Ranita in the Village, will now run the bar and upstairs dining room of Ahmass Fakahany and Michael White's Upper East Side French restaurant Vaucluse. The menu at Omar at Vaucluse features dishes like cacio e pepe and a burger, and a disco ball will add an element of fun. Dinner nightly. Omar at Vaucluse, 100 E. 63rd St., New York, NY 10065, 917-410-2991. Michael Chernow has a new outpost of Seamore's, his restaurant devoted to local, sustainable seafood. The first Brooklyn location, in Dumbo, offers poke bowls and has a downstairs bar. Lunch & Dinner daily. Seamore's, 66 Water St., Brooklyn, NY 11201, 718-663-6550. Mochi ice cream is the star of the show at La Maison de Makoto in the West Village. In the evening, this Japanese/French confectionary transforms into a lounge, serving cocktails and small savory bites. Open daily. La Maison de Makoto, 74-76 7th Ave. S., New York, NY 10014, no phone. Soogil chef-owner Soogil Lim worked as a sous chef at Daniel and was the executive chef at Hanjan. His own restaurant features both French and Korean ingredients and techniques. He serves cod with Manila clams, zucchini noodles and baby bok choy, and a play on Korean-style sticky rice for dessert, with seven grain powder and honey chestnut gelato. Dinner nightly. Soogil, 108 E. 4th St., New York, NY 10003, 646-838-5524. Owner Gabriel Stulman's 32-seat bar, George Washington Bar, in the Freehand New York hotel serves drinks in a room decorated with vintage furniture and a restored original fireplace. Cocktails like the Mount Vernon Spritz, with Cappelletti, Chinotto, Prosecco and Himalayan pink salt, and Welcome to Sunnydale, a mix of Tromba reposado, beet, amontillado, dill and crème fraîche, are on offer. Open nightly. George Washington Bar, Freehand New York, 23 Lexington Ave., New York, NY 10010, 212-475-1924. Studio is an all-day restaurant on the second floor of the new Freehand New York hotel. On offer are fresh baked sweet and savory pastries from baker Zoe Kanan and a full menu with North African touches (rotisserie chicken with sumac, golden raisins and couscous). Studio, Freehand New York, 23 Lexington Ave., New York, NY 10010, 212-475-1924. 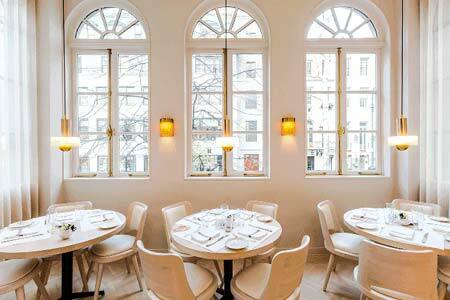 Chef Matt Griffin and owner Gabriel Stulman hope Simon & The Whale, their restaurant at the Freehand New York hotel, is the kind of neighborhood spot guests will want to return to over and over again. The Italian-inspired menu includes dishes like spaghetti acqua pazza with Castelvetrano olives, cherry tomatoes and clams, and lamb carpaccio with preserved lemon and rosemary yogurt. Dinner nightly. 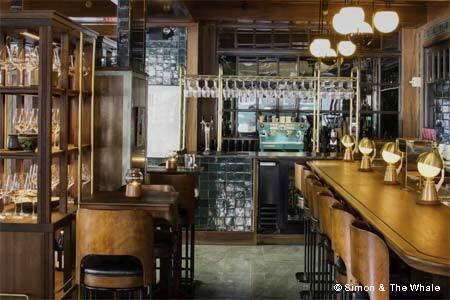 Simon & The Whale, Freehand New York, 23 Lexington Ave., New York, NY 10010, 212-475-1924. On the ground floor of Sago Hotel on the Lower East Side, Noga serves kosher dairy cuisine. The menu includes yellowfin tuna tartare with chili oil and truffle fettuccine with black trumpet mushrooms. Breakfast, Lunch & Dinner daily. Noga, Sago Hotel, 120 Allen St., New York, NY 10002, 212-804-7207. Bar Alaska is now open on the Lower East Side. The Alaskan-themed bar specializes in Russian vodkas, Alaskan king crab tacos and oyster shooters. Dinner nightly. 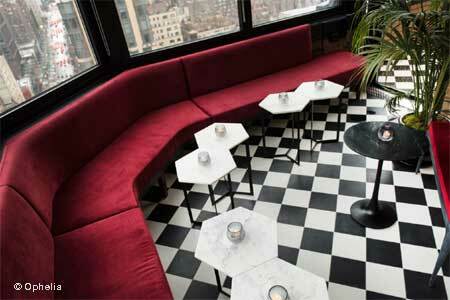 Bar Alaska, 174 Rivington St., New York, NY 10002, 646-649-5545. PQR sells pizza al taglio, or by the cut, on the Upper East Side. The square slices have a crispy bottom and a soft interior, and are made by Roman pizza master Angelo Iezzi. Iezzi is known for his precise and innovative pizza-making techniques. He tops his pies with combinations like grapes, goat cheese and prosciutto, and stracchino cheese, pancetta and pink peppercorns. Lunch & Dinner daily. PQR, 1631 Second Ave., New York, NY 10028, 646-449-0889. Lowerline owner-chef John Verlander serves Creole cuisine inspired by New Orleans. On the menu are freshly shucked oysters, gravy-drenched po’ boys and seafood gumbo. Lowerline, 794 Washington Ave., Brooklyn, NY 11238, 347-533-7110. At Claro in Gowanus, chef T.J. Steele cooks the food of Oaxaca, like rabbit salpicon, chicken mole amarillo and pork head tostadas. For dessert, there's roasted pumpkin with caramel sauce. Claro, 284 Third Ave., Brooklyn, NY 11215, 347-721-3126. Owner Chris Kouvaros and chef Nicholas Poulmentis celebrate all things Greek seafood at Akrotiri in Astoria. Taramosalata is infused with squid ink and truffles, which turns the traditional fish roe dip a deep black. The wine list features Greek wines. Lunch & Dinner daily. Akrotiri, 29-20 30th Ave., Astoria, NY 11102, 718-726-2447. Sugar Momma's menu takes its inspiration from Australia, with Asian fusion dishes like a shrimp and crab cracker and satay curry chicken. Creative cocktails and wines by the glass are available. The space is tucked behind Hole in the Wall café by the South Street Seaport. Dinner nightly. Sugar Momma, 15 Cliff St., New York, NY 10038, 212-602-9991. Chef Sung Park incorporates French techniques with Korean ingredients at Holiday Inn Brooklyn Downtown’s Brasserie Seoul. A bar with plenty of bright green plants is at the center of the dining room, where dishes like oysters with 5 spice pork belly confit and homemade kimchi and 48-hour braised grass-fed beef with Korean dates and shiitake mushrooms will be served. Brasserie Seoul, Holiday Inn Brooklyn Downtown, 300 Schermerhorn St., Brooklyn, NY 11217, no phone. An outpost of Fuku, Momofuku chef David Chang’s fast-casual fried chicken chain, is now open in Brookfield Place's Hudson Eats in Battery Park City. In addition to the famous fried chicken sandwich, breakfast sandwiches, beef tallow fries and DU’s Donuts from chef Wylie Dufresne are on offer. Lunch & Dinner daily. Fuku Brookfield Place, Brookfield Place's Hudson Eats, 225 Liberty St., New York, NY 10281, no phone. MeMe's Diner co-owners Libby Willis and Bill Clark opened this nostalgic and hip spot in Prospect Heights. The restaurant serves fried pickles, deviled eggs salad and meatloaf sandwiches, plus classic cocktails like Manhattans and rum punch. MeMe's Diner, 657 Washington Ave., Brooklyn, NY 11238, 718-636-2900. Miznon, the counter-service pita spot, has a seventh location and a first home in New York City in the Chelsea Market. Chef-owner Eyal Shani serves wild mushrooms cooked on hot steel; hake fish with tomato and tahini; and rib-eye roast beef with aïoli, mustard and pickles. Lunch & Dinner daily. Miznon, Chelsea Market, 435 W. 15th St., New York, NY 10011, 646-490-5871. The first New York City location of the fast-casual chain Tender Greens serves plenty of salad, but also all-American fare like chicken, steak and tuna. In addition, executive chef Peter Balistreri's menu includes cumin and coriander spiced falafel, roasted tomato soup and buttermilk fried chicken sandwiches. Lunch & Dinner daily. Tender Greens, 900 Broadway, New York, NY 10003, 212-339-7425. Pastas, crudos and other northern Italian fare are on offer at Legacy Records in Hudson Yards, from the team behind Charlie Bird. Old-world wine and classic cocktails are also available. Downstairs, they run an all-day café called Easy Victor. Legacy Records, 517 W. 38th St., New York, NY 10018, no phone. Sam Won Garden is the first NYC branch of the Korean barbecue restaurant opened in Seoul in 1976. The 175-seat spot will offer beef from a ranch in Arizona, dry-aged at the restaurant and cooked tableside. Sam Won Garden, 37 W. 32nd St., New York, NY 10001, 212-695-3131. 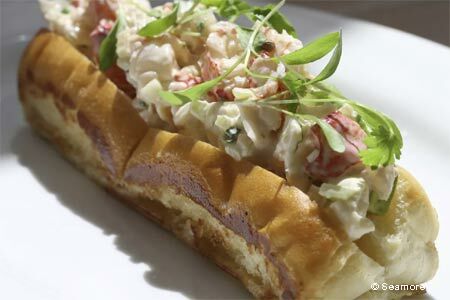 Chef/owner Matthew Kenney’s 50-seat Plantmade, an all-day vegan café, offers plant-based dishes like coconut avocado green soup, potato niçoise bagels with almond pâté and olives, and truffled “cheese” panini. Breakfast, Lunch & Dinner daily. Plantmade, 152 2nd Ave., New York, NY 10003, 646-461-2124. Chef-owner Masa Takayama (Masa) has a new concept below his restaurant Tetsu. Basement serves a meat-centric omakase at a 10-seat bubinga wood counter with fine ingredients like A5 Wagyu beef, Ohmi roast beef and whole fish. Basement, 78 Leonard St., New York, NY 10013, 212-207-2370. West-bourne is a California-cool café in SoHo that’s open all day. Owner Camilla Marcus has designed an airy spot with custom ceramics and a menu that features grain bowls, buckwheat waffles and salads. Breakfast, Lunch & Dinner daily. West-bourne, 137 Sullivan St., New York, NY 10012, 347-534-3050. Owner Yudai Kanayama, of Izakaya in the East Village, presides over the menu at Davelle in the Lower East Side, a Japanese all-day café. The restaurant serves onigiri rice bowls with boiled egg for breakfast, a spaghetti set for lunch, and eggs, daikon and fishcakes in a dashi broth for dinner, plus small plates for sharing. Breakfast, Lunch & Dinner daily. Davelle, 102 Suffolk St., New York, NY 10002, no phone. The team behind Faro has opened General Deb's, a noodle-focused Sichuan restaurant in Bushwick. Chef Kevin Adey's noodles and dumplings are the stars of the show. Also on the menu are la zi ji (stir-fried chicken with chili peppers) and silky mapo tofu. Dinner nightly. General Deb's, 24 Irving Ave., Brooklyn, NY 11237, 718-417-3300. At Gem in the Lower East Side, teenage chef Flynn McGarry offers a tasting menu for 16 guests, with optional wine pairings. Dishes may include peanut Ritz Crackers with foie gras or slow-roasted sunchokes with pumpkin seed oil and apple. The Living Room sells coffee, teas and pastries during the day. Gem, 116 Forsyth St., New York, NY 10002, no phone. Shanghai Zhen Gong Fu in Queens offers more than 160 dishes. The Shanghai soup dumplings (aka xiao long bao) steal the show, especially the black truffle and pork soup dumplings. Lunch & Dinner daily. Shanghai Zhen Gong Fu, 86-16 Queens Blvd., Elmhurst, NY 11373, 718-672-2200. Sushi chef Shigeyuki Tsunoda oversees a $285 per person omakase experience at Noda, an eight-seat sushi counter. In front, there's a Japanese whiskey and saké lounge. Noda, 6 W. 28th St., New York, NY 10001, 917-873-9708. Annicka in Greenpoint features beers, wines, ciders and spirits made in New York State. This is the first restaurant under Governor Cuomo’s Farm Brewery license. It’s a collaboration between North Brooklyn Farms and Greenpoint Beer & Ale Co. On the menu are Spanish mackerel ceviche and green chili stew, plus sweet potato donuts with coconut milk caramel for dessert. Annicka, 544 Manhattan Ave., Brooklyn, NY 11222, 718-599-1556. Mr White takes its inspiration from New Orleans, serving dishes like bourbon chicken liver pâté, prawns over saffron grits, and black rice jambalaya with crawfish tails and mustard greens in a space reminiscent of an old Southern mansion. Dinner nightly. Mr White, 123 St. Marks Pl., New York, NY 10009, 212-510-7229. Perched at the top of Beekman Tower, Ophelia lounge has a greenhouse terrace with sweeping views of Manhattan. Décor is inspired by the 1930s, with tarot cards and antique silverware. Small plates pair with Amir Babayoff's cocktails, like “Ophelia’s Ascension,” a libation of activated charcoal, bourbon and smoked Jamaican pepper-infused mezcal topped with cedar wood smoke. Dinner nightly. Ophelia, Beekman Tower, 3 Mitchell Pl., New York, NY 10017, 212-980-4796. “Bao Zai Fan,” Hong Kong-style clay pot cooking, is featured at Clay Pot on St. Mark's Place. Crispy jasmine rice comes topped with egg, spinach and corn, plus a choice of beef, eel, pork belly and Chinese sausage. Clay Pot, 58 St. Mark's Pl., New York, NY 10003, 646-434-6449. Inès is a cozy neighborhood café serving coffee and pastries plus a "Healthy Start Bowl" with couscous, scrambled eggs and avocado. Expect salads and sandwiches like a salmon club and a croque monsieur, too. Breakfast & Lunch daily. Inès, 419 E. 74th St., New York, NY 10021, 212-796-6303. After more than a year of renovations, chef Jean-Georges Vongerichten's restaurant JoJo on the Upper East has re-opened with a fresh interior design. JoJo, 160 E. 64th St., New York, NY 10065, 212-223-5656. David Chang's midtown restaurant Ma Peche will close on June 13 after eight years in the Chambers hotel. Until then, it will feature the favorite dishes from throughout its run. 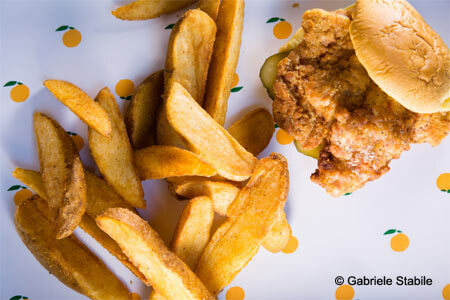 Ma Peche, Chambers, 15 W. 56th St. , New York, NY 10014, 212-757-5878. Danny Meyer announced that his fine dining restaurant North End Grill, which opened in Battery Park City in 2012, will close at the end of the year. North End Grill, 104 N. End Ave., New York, NY 10282, 646-747-1600.